Welcome to Sweetwater Appraisal Services, LLC. A leading provider of real estate valuations for the mortgage lending marketplace for Southeastern Wyoming. My investment in training and technology has helped my customers greatly reduce their workload. By offering online appraisal ordering, coupled with automatic report status updates and electronic delivery of the final product, I am able to eliminate the run around and phone tag hassles associated with this process saving us both money. 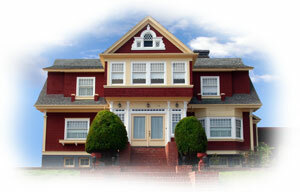 Through my website, ordering an appraisal is just a click away. Or spend a little time to find out a bit more about the appraisal business. The more you know, the better decision you can make.